I don't know what to say really, thank you seems insignificant for the way I feel about the service you provided. In an environment where very few care it was a shock when the postman turned up with the parcel from your Company, considering it was close to, if not after close of business. The service was fast, efficient, responsive, friendly and way, way exceeded all expectations. No wonder your company is successful if you deal with all customers like I have experienced. Congratulations for an A++++++++ service. I am totally over the moon both with the product and the service. Job Well Done. Watch a bit of TV. You have my permission. Have you ever watched a television show that was so bad you wished you had the money to make your own? It can't be that hard, can it? With the right budget and the right people, it should be foolproof. But it isn't. And as good, upstanding, socially responsible adults, we need to watch plenty of television to make sure that it keeps up to the standard we've come to expect. To help facilitate your long hours in front of the box, I've sourced this extra-long 10M TV Antenna Flylead (Male to Female). This is the awesome cable you want running from the roof of your two-storey house all the way down to the ground-floor rumpus room. With tough PVC casing shielding a core of 99.98% oxygen free copper, the reception will be so good you'll swear that you were sitting on your roof next to the aerial! Of course, it doesn't have to go inside your wall; you can just as easily have it running from the wall socket directly to your television, amplifier, VCR, set top box or digital recorder. That's right! 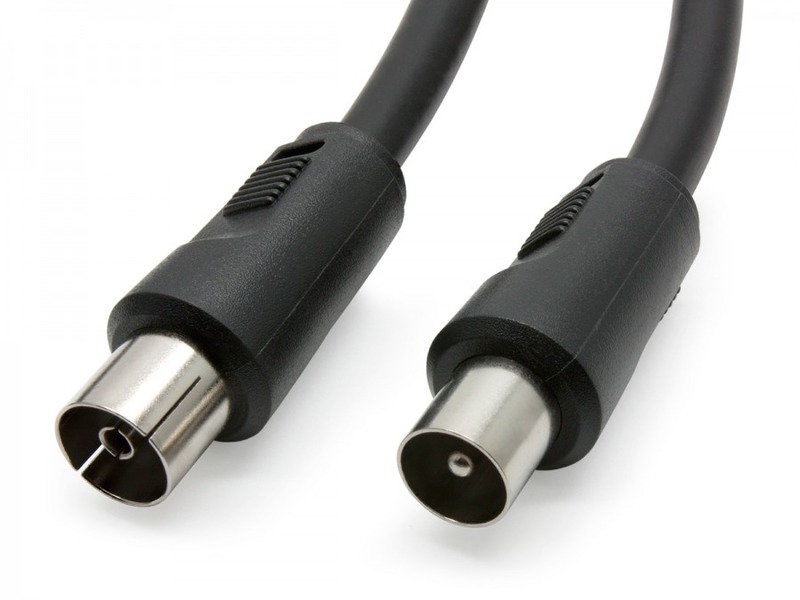 This clever cable handles both Analogue and Digital signals – no need to change things in the future! Cable Chick you are amazing. I called you on Tuesday afternoon, you shipped my order within 24 hours and by Friday I was playing with my new toys! And I'm in the farthest-flung part of Northern West Australia. How do you do it?